Are You a Christian Racist? I was recently asked when people of skin tone other than white as an indicator of racial or ethnic affiliation first appeared in the Bible. Was it before the Tower of Babel? When we got on the bus I looked for the colored people. Sure enough, there they were in the back of the bus. I guess I expected to see a rainbow of colors like in my Crayola box. It didn’t take long to see that I only needed three crayons: black, brown and “flesh-colored.” My introduction to racism had begun. “Most Americans, white and black, see racism as a lingering problem in the United States, and many say they know people who are racist. But, just 13 percent of whites and 12 percent of blacks consider themselves racially biased” (“Most Polls See Lingering Racism in Others,” CNN.com, December 12, 2006). Matt, before I answer your question about skin color and the Bible, I want to share a series of questions on how we can determine if we are racially biased. Peter Scazzero, pastor of New Life Fellowship in Queens, N.Y., developed what he calls The Racism/Bridge Builder Test. Is there a particular group of people/ethnicity/race that you simply can’t stand? Is there any particular group of people/ethnicity/race that you wished your child wouldn’t marry? Or you wouldn’t marry? Are there types of people who cause you to cross the street if you are walking alone? Does anything happen inside you when you see interracial couples? What types or combinations of couples? When was the last time you visited in the home or apartment of someone from a different culture or race? When was the last time you invited them to your home or apartment? What is your attitude towards people/groups whose musical preferences are different than yours? (e.g. Classical, classic rock, hard rock, Pop, Jazz, Hip-Hop, R and B (rhythm and blues), gospel, heavy metal, etc. What type of person would you most trust to invest or steward your money? What type of person would you least trust to invest or steward your money? When you meet people from another race/culture who do not fit your stereotype (i.e. nicer, smarter, dumber, aggressive, passive, and/or more articulate) than you expected, are you surprised? During my last two years of college I pastored the Emmanuel Baptist Church in Penelope, Texas. It was there that I first encountered "colored town." My wife Julie and I were driving around one Sunday afternoon visiting people to invite them to come to our church. We drove down a dirt road we’d never been on before, crested a hill we’d never noticed before, and spread out before us was Penelope’s colored town. I was shocked. I didn’t know Penelope had a colored town! We had a wonderful time playing with the children, petting the dogs, talking with people and drinking cokes in the kitchen. I suppose that there are two ways to handle racism. One is to climb on a “high horse” and angrily judge and condemn those obviously racist. The other is to take time to work on their hearts. I chose the latter. In fact, I set a goal. Every year our church sponsored what we called “Vacation Bible School.” For two weeks each summer children came every morning for fun, games, crafts and Bible lessons. Bible School for this year had just ended. I decided that next year the colored children would be welcomed. So, I preached compassion and love and acceptance — and worked on our hearts. One year later 11 African-American children attended our Bible school. Mrs. Beard was one of our Vacation Bible School teachers. The next Sunday two African-American families came to worship with us in or church. No one turned them away. In fact, the fellowship we had was sweet. A curious belief once arose among some Christians about the origin of black-skin coloring in order to justify slavery. In Genesis 9:20-25 Ham is cursed by his father Noah for dishonoring his dad during one of Noah’s drunken stupors. Some think that the curse placed on Ham and his descendants was black skin. Some of Ham’s descendants, Cush and Put, for example, settled in Africa in the present-day countries of Ethiopia and Libya. These misguided people conclude that Cush and Put spread their black skin throughout Africa. Therefore, they conclude that black Africans are a cursed race and thus inferior to white races. This awful premise was often invoked by white people in the Southern United States as Biblical “proof” to justify the institution of slavery. In fact, in Dred Scott v. Sanford in 1856 and a in a series of other cases the U.S. Supreme Court ruled that black slaves could not be citizens, were not real human beings and thus had no protection under the U.S. Constitution. Furthermore, other rulings concluded that slaves were nothing more or less than the property of their owners — little different from horses and plows. Horribly, many Southern preachers and Christians used this line of reasoning to circumvent the idea that slaves were to be treated as equals for whom Christ died a substitutionary death on the cross. This is not to say that all Southern Christians agreed with this concept. Some repudiated it fiercely! Many operated underground railroads to move runaway slaves to “safety” in the North. The Southern Baptist Convention split off from other Baptists in 1845 because they wanted to continue legalized slavery in the South. Thankfully, among most Christians, times and attitudes have changed. Fighting racism is not easy. It’s built into our genes. In his book Genome, Matt Ridley selects a gene or two from each chromosome pair and overviews the work of our genes. Several things, among many, stand out in his book relating to racism. First, we are genetically programmed by GOD to be wary of people not like us. This is a survival mechanism that contributes to racism. Second, skin color is not skin-deep. It is less than skin-deep. Of the 30,000 or so genes imbedded in human DNA, only a very few have anything to do with skin color. All races are basically alike in mental, emotional and physical make up. Skin color is only cosmetic. Imagine all of the pain and anguish that have come to mankind over things no more genetically important than blusher and eye shadow. Third, different skin colors are not a curse. They are in many ways life-giving. For example, certainly you’ve noticed that as we move farther north from the sunny tropics, to the less sunny temperate zones, and on to the frigid and unsunny Arctic, skin colors gradually morph from deep black to pale white. Think Ethiopia versus Sweden. Skin color is due primarily to the presence of a pigment in the skin called melanin. Dark-skinned people who live in the tropics have more melanin than light-skinned people who live up north because they need it. Melanin acts as a sunscreen to protect against the sun’s ultraviolet rays which often lead to melanoma. The more melanin the darker the skin and the greater the protection. (By the way, freckles, which occur in people of all races, are small, concentrated areas of increased melanin production). Light-skinned people up north don’t need sunscreen. They need vitamin D to prevent rickets in children and osteoporosis in adults. Since approximately 90 percent of Vitamin D is synthesized in the skin, people up north tend to be light-skinned with little melanin in order to soak in as much sunshine as possible. Since the higher latitudes get much less sun than the tropics, light-colored skin enables people to quickly absorb Vitamin D.
We teach, lecture and model to help overcome racism. We imprison and punish racist extremists in an effort to eradicate the problem. We must do all we can to reduce racism in our midst. But, when all is said and done, the love of Christ alone can bring ultimate healing to this sad racial sickness. “You have heard that it was said, ‘Love your neighbor and hate your enemy.’ But I tell you, love your enemies and pray for those who persecute you, that you may be children of your Father in heaven” (Matthew 5:43-44). “Instead, speaking the truth in love, we will grow to become in every respect the mature body of him who is the head, that is, Christ” (Ephesians 4:15). By the way, it’s been a long time since I’ve used the term “colored people,” or some of the other terms which were so vulgar but normal when I was a child. But, times have changed and I’ve grown up. I know that people aren’t colored or black or white or brown or red or yellow or olive or whatever. They’re people; we’re all alike. I remember the first time I preached overseas. Julie and I were in Rio and the people were poor and the slums smelled like pee. In a moment of panic I wondered if my stories and illustrations would relate. Then, it dawned on me. These people were just like me. Their skin was darker than mine but our insides were alike. When they get cut, they bleed, just like me. They want their children to grow up and succeed, just like me. They wanted a job and security, just like me. They had the same hopes, fears and dreams just like me. In fact, they were just like me. "Jesus replied: Love the Lord your God with all your heart and with all your soul and with all your mind. This is the first and greatest commandment. And the second is like it: Love your neighbor as yourself. All the Law and the Prophets hang on these two commandments” (Matthew 22:37-40). Reorienting the human heart around the love of Christ is our only long-term hope for reducing racism in our midst. 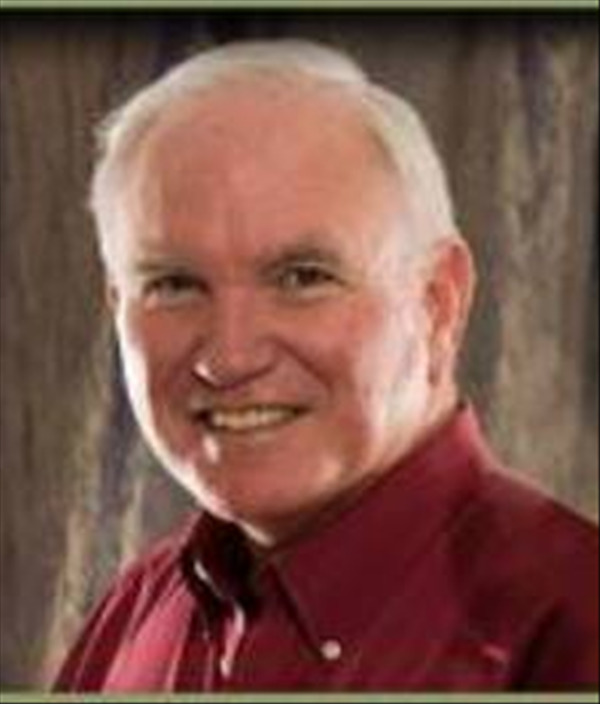 Dr. Roger Barrier recently retired as senior teaching pastor from Casas Church in Tucson, Arizona. In addition to being an author and sought-after conference speaker, Roger has mentored or taught thousands of pastors, missionaries, and Christian leaders worldwide. Casas Church, where Roger served throughout his thirty-five-year career, is a megachurch known for a well-integrated, multi-generational ministry. The value of including new generations is deeply ingrained throughout Casas to help the church move strongly right through the twenty-first century and beyond. Dr. Barrier holds degrees from Baylor University, Southwestern Baptist Theological Seminary, and Golden Gate Seminary in Greek, religion, theology, and pastoral care. His popular book, Listening to the Voice of God, published by Bethany House, is in its second printing and is available in Thai and Portuguese. His latest work is Got Guts? Get Godly! Pray the Prayer God Guarantees to Answer, from Xulon Press. Roger can be found blogging at Preach It, Teach It, the pastoral teaching site founded with his wife, Dr. Julie Barrier.